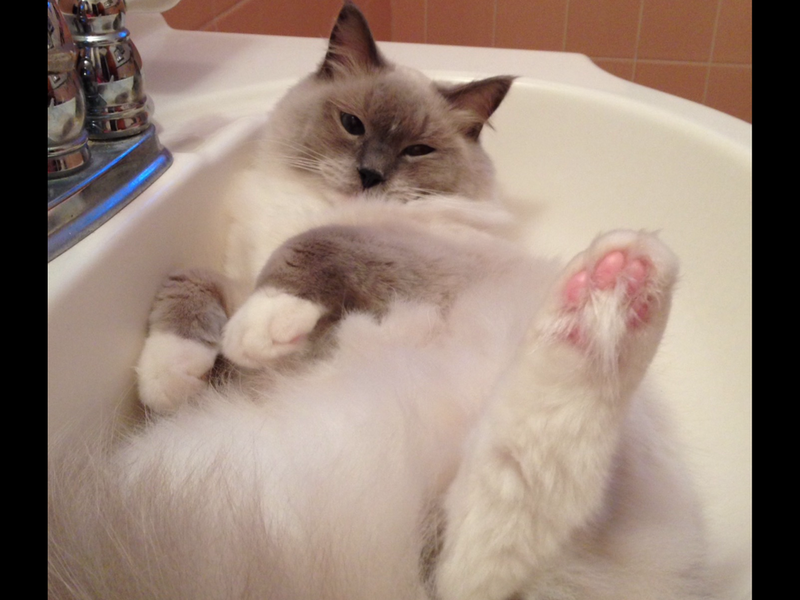 The photo is of my Blue Mitted Ragdoll cat Hayden just chillin in the bathroom sink. Both he and his brother Patton do this. Date Uploaded: Aug. 18, 2017, 9:33 p.m.